Joe Yonan, if you don’t know him, is a fixture on the food journalism scene. Once a Globe food beat cop like myself, Joe made his way to the Washington Post, where he now heads up the food section. He’s specialized in cooking for singles: first with a popular column, whose recipes served as a springboard for his singles cookbook, Serve Yourself. The current volume is the vegetarian followup. It’s long been my view, though, that anyone with Joe’s effervescent personality can’t last on the singles scene for long. I hold out hope that volume 3 will be Serves 4, with Minivan, and I won’t have to keep scaling up his recipes..! Click here to read today’s review of ‘Eat Your Vegetables’ in the Boston Globe. Hit the paywall? Click here for the PDF version. On Cookbook Finder, my cookbook-rating app, you’ll find more analysis of this book, write-ups of 250+ of the latest cookbooks, and regular cookbook news. It’s the only up-to-the-minute cookbook app anywhere! What, you say you’re already too much of a cookbook addict? Ah, but you see, Cookbook Finder will help you get control of your problem. Now you’ll only buy the good ones. Available for iPhone/iPad and Android devices. 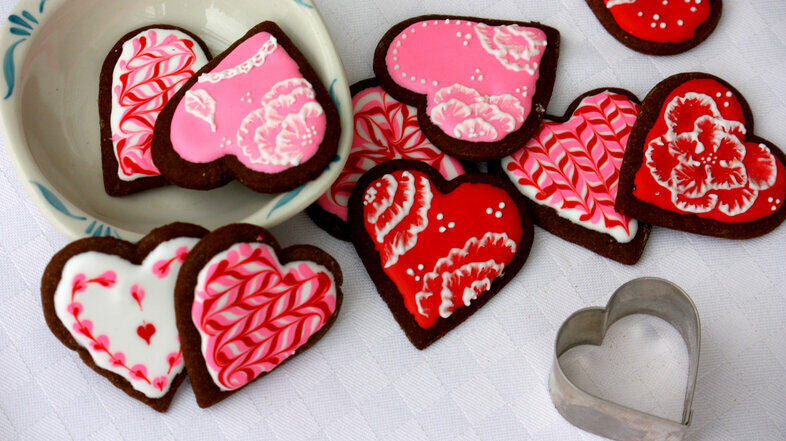 new NPR Kitchen Window story: I ♥ Valentine cookies! I make cookies at the slightest provocation – Christmas, Easter, assorted birthdays. But of all the cookie seasons in the year, it’s Valentine’s Day I love the best. It’s an excuse for my daughter and me to spend a day playing with icing – dotting, stippling, marbling and brushing gingerbread hearts into edible works of art. The only problem is making up our minds to eat them. Click here to read Valentine Hearts That Are Meant to Be Be Broken at NPR’s Kitchen Window. Or, if you like, browse all my Kitchen Window stories for NPR. The gingerbread cookie recipe from Cooks’ Illustrated‘s The New Best Recipe is featured in this story. 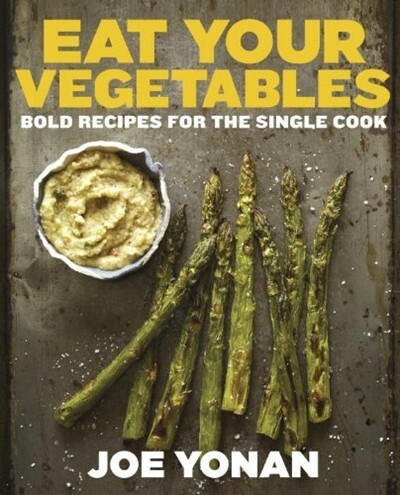 You can read more about this book – and over 250+ cookbooks worth giving this holiday! – on my cookbook-rating app, Cookbook Finder. Available for both iPhone/iPad and Android devices and updated regularly. How long will it take? Accurately estimating recipe times. 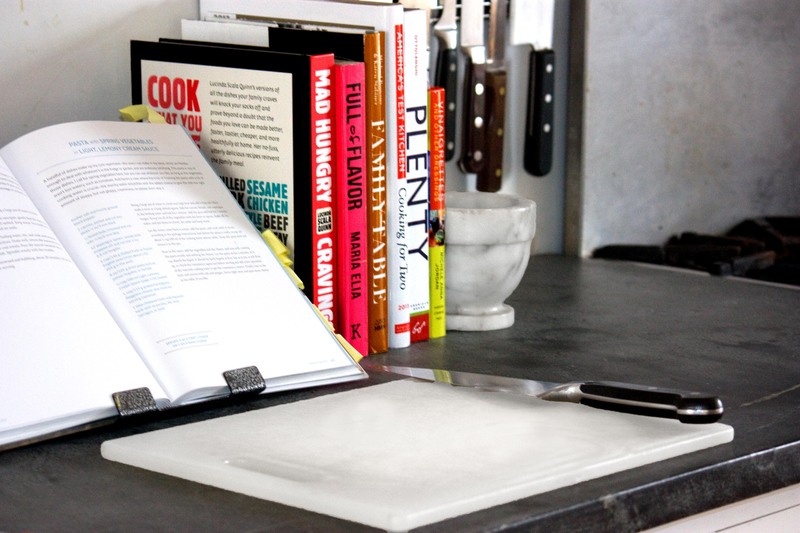 Like anyone who regularly uses cookbooks, I’ve often found a vast disconnect between how long I think a recipe will take and how long it will actually take. Add in ingredients you were sure were right there in the fridge but aren’t, the typical household chaos on a weeknight at 5pm, the time it takes to get used to a new recipe, a naturally over-optimistic temperament – and you have a scheduling disaster in the making. Over the years I’ve learned that if I’m serious about avoiding hunger-induced family meltdown, I have to give scheduling just as much thought as I give the shopping list – that is, I have to at least try and guess what I’m going to need rather than winging it all the time. And if the cookbook gives an estimated prep time, I usually just ignore it because it’s bound to come up short (in my experience, maybe 10% of time estimates are accurate. The rest are too short. Or maybe I’m just slow). Anyway, here’s my time estimation method – maybe some of my tips will help you with yours. 1. Read the ingredients list. It’s the rare ingredients list that doesn’t have some prep embedded in it – anything from “garlic, finely chopped” to the dreaded “tomatoes, blanched, peeled and seeded” or “chilies (toasted, soaked, seeded, and chopped)”. For a list of a dozen or less ingredients where half call for a knife and half for measuring, I’ll give myself some 15 minutes – that’s maybe a little short, but you can usually get a little more chopping done once the onions are in the pan. 2. Skim the instructions, looking for time indications. Obviously, look for the words “about [X] minutes “. Keep a sharp lookout for “hours” – somehow “hours” and the stealthy “overnight” tend to hide until you run into them with 15 minutes left till dinner. Also look for the word “until“. Sometimes an author will give you an “until” cue (“until half the liquid has evaporated” or “until no longer pink”) without any other time indication. Also look for stealth time-words like “chill” and “rest“. Add this to your estimate from the ingredients list. 3. If it’s a new recipe (something you’ve made fewer than 5 times), always always add an additional 15 minutes or more. You’ll need it for finding your place in the recipe, flipping back and forth between recipes, finding the can opener etc etc. Sometimes I just go for broke and round the whole thing up to the nearest half hour. 5. Finally, one more thing: How many new recipes are you cooking? If you’re cooking 2 or more new recipes simultaneously, add at least 1/2 hour for each additional recipe. If you have idle time built in to one of the recipes (see above), you can cut that down a bit – but not by too much. Using these general guidelines, I usually can hit dinner on the mark at 6pm without driving myself too crazy in the process. I can sometimes carry on a conversation with my husband – though sometimes he has to endure a bit of lag time in the dialogue when my circuits are really oversubscribed – and maybe even enjoy a sip of wine or two. Sharp knives. Makes all the difference in the world. My aim in life is to properly sharpen them once a week, but actually it turns out to be more like once every 3 or 4. If your knives are not in great condition, at least run them over a sharpening steel each day before you start. It takes 15 seconds and saves you an agony with the onion. Use a timer. As a true “out of sight, out of mind” cook, I’ve burned any number of things simply because they were in the oven and I forgot about them till they sent up a smoke signal. I still do, unless I use a timer. In general, I can only wing it if I’m prepping just one dish, with one time I have to keep track of and it’s less than 15 minutes. Otherwise, forget it. It’s not without its flaws, but I find this 3-line Maverick kitchen timer to be a big help. Clean up as you go. Start with your ingredients on one side of your board. As you prep, move the remainders to the other side, sorted by whether they go back in the fridge or pantry. Once you’ve got your ingredients prepped, spend half a minute just getting stuff off your counter. The one exception is flour. I always leave out the flour, because you always end up needing it for something later. Don’t clean up as you go. This is maybe controversial, but I never wash dishes as I cook unless I happen to find myself with idle time in the middle (marinating, chilling, rising etc.) or extra time at the end. Assuming you don’t have a designated dish washer person, just put everything in the sink and leave your hands free for that knife, silicone spatula, or wooden spoon. Don’t answer the phone. You may think you can carry on a phone conversation and read a recipe at the same time. You can’t. For some reason it’s easier to talk to someone who’s in the room while you’re testing a recipe than it is to talk to someone over the phone. Of course, accidents will happen. I spilled my already-mixed flour, baking powder, salt and sugar for okonomiyaki all over the floor yesterday. The week before I spilled a solid 5 pounds of rice everywhere, and I still don’t keep the vacuum in the kitchen. Recipes are fallible, and so are people. But in the end, I always tell people, we can always order pizza. Nothing ventured, nothing gained! So are we good to go? Tie on an apron, put on some music, and – ready, set, cook!